The secret’s out! X Factor star Cheryl Cole ties the knot with French boyfriend Jean-Bernard Fernandez-Versini in a romantic private island wedding on Mustique Island. After enjoying a whirlwind three-month romance with hunky restaurateur Jean-Bernard Fernandez-Versini, X Factor judge and former Girls Aloud star Cheryl Cole has once again taken the plunge, getting hitched to her new beau in a low-key private island wedding ceremony on Mustique Island. With only 10 people said to have been in the loop about the Crazy, Stupid Love singer’s romantic intentions, the news caught much of the international media by surprise, whipping up something of a press frenzy when she finallybroke the news to her fans via her official Instagram account this morning. Posting a picture of her huge engagement ring and a timelessly-stylish diamond-studded wedding band, the singer put an end to any speculation by revealing that the loved-up pair actually tied the knot over week ago, slipping under the radar of the press with a beachside wedding on the most private of private islands: Mustique Island. Whilst details about the ceremony are yet to have been revealed, The Independent reports that the wedding took place on Mustique Island’s famous Macaroni Beach in front of just four witnesses – including Chezza’s mum and her long-standing PA, Lily England. 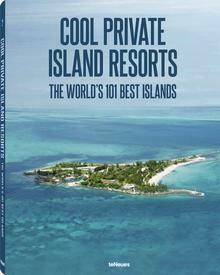 The intimate private island beachside ceremony marks a startling contrast to her first marriage to footballer Ashley Cole back in 2006 – a photographic free-for-all which was captured in all its garish glory in an exclusive GBP 1 million photo-shoot by OK! magazine. There was certainly no risk of the Mustique Island team spilling the beans – the island is a favourite of Kate Middleton and Prince William thanks to its no-nonsense attitude to privacy. A strictly paparazzi-free zone, Mustique puts the private into private island – making it an extremely popular choice amongst the global glitterati. Mustique is no stranger to famous faces – as well as the Middletons, Sir Mick Jagger, Tommy Hilfiger and Bryan Adams all own private villas along the island’s unspoiled shores. Furthermore, the likes of Kate Moss, Johnny Depp and Sir Paul McCartney and even Harry Styles are all regular guests on the island. Mustique Island is home to approximately 100 villas, many of which are available to rent. 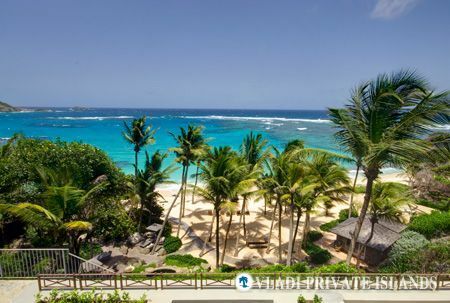 To find out more about this extra-special island escape or to book your own private island wedding, head over to Vladi Island Travel – the world’s only tour operator specializing in private islands vacations.